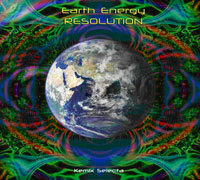 Earth Energy: Resolution CD was made as a tribute to the Earth Energy Festivals held in the beautiful forests of Yamanashi, Japan in 2006.The artists on this CD came from all over the world to perform their music in Japan and create that special vibe. We hope this CD will bring back beautiful memories for those who participated and inspire others to dream amazing dreams. The musical journey begins with “Vishuddhi Chakra”, a deep haunting ambient goa track from 01-N (Japan). 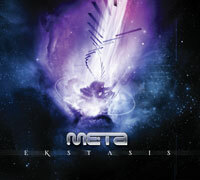 Other highlights are two powerful and emotional tracks from Intersys (Israel). “Kinetic” by Hydraglyph (Sth. Africa) is destined to be a future classic with its sharp driving kick and basslines fused with spiritual vocals to create an original sound. “Space Travel” by Optokoppler (Germany) is a beautifully crafted melodic full-on track. Contrasted to this is the high energy track “Kiiilleerr Dose” by Chromatone (USA). 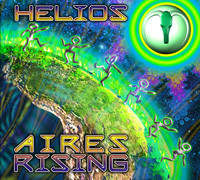 All in all, Earth Energy: Resolution is a CD that will make you FEEL MUSIC and ACTIVATE IMAGINATION!!! 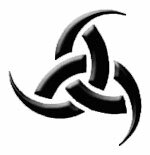 We hope the Spirit Energy of the Earth will bind us all together to create a new and wonderful future. Also known as Ken Hew, Kemix was born in Singapore and grew up in Melbounre. He first experienced Goa Trance in 1995, going to underground and warehouse parties where he became inspired by psychedelic artists like Cosmosis and Tsuyoshi Suzuki. In 1998, he moved to Tokyo, Japan and tuned in to the energy of the trance scene there. Started DJing in 1999 and started the Psy16 Party Crew in 2003. He is a regular DJ on the club and outdoor circuit in Japan and has played many festivals around the world including a floor burning set at Soulclipse, Turkey 2006. Joined Sanskara Records (Sth. Africa) as a label DJ in the same year. 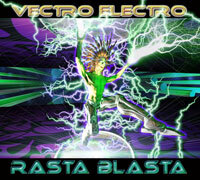 His style combines the story telling of psychedelic melodies from his Goa roots with the hard driving basslines and futuristic sounds of modern cutting edge psytrance. He builds his sets like an escalator to the stars. 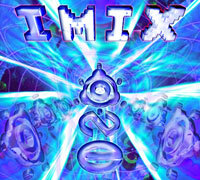 If you are after a good trance dance, Kemix is for you!